Selling your phone can be stressful enough considering the fact that we tend to keep our lives saved on them. Everything from bank details, logins details and contact numbers are stored on our devices, so it’s important to take every necessary steps to save and remove this data from the device before you sell it on. The aim of today’s post is to guide you through the things that you may forget to do when selling your iPhone, but we also want to give you a steer in the right direction in signing up with a new carrier, and how to get the most cash back for your older phone. This is a step that many people forget to do properly, and it is one of the most important steps in-line with deleting your data. All those precious memories, contact details and other valuable data can be lost in 30 seconds if you don’t successfully complete this step. Backing up is a simple step as well, and it’s something that you should really set up automatically so you know that you photos and videos are being saved to iCloud. Firstly connect your iPhone to your computer or laptop via the charging USB cable, iTunes will then automatically open up and your iPhone will begin to sync. Make sure that “My Computer” is selected under the backup option, and then click “Backup Now” which will kick-off the process for you. The iCloud backup can be selected on the same screen as the My Computer backup, just select the “iCloud” backup option and this will backup your phone’s data to the cloud which can be accessible on any device. Now one of the major parts has been covered in step 1 we move to the next step which has equal importance, and that is performing a factory reset on your phone to clear all the data. 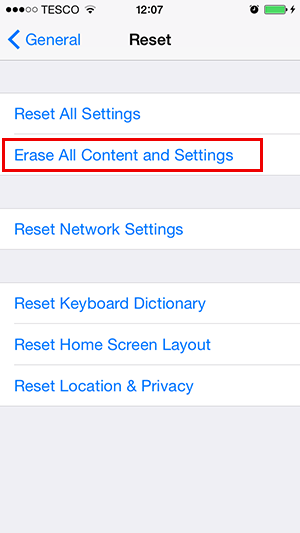 Tap the ‘Erase iPhone’ button and the process will start. 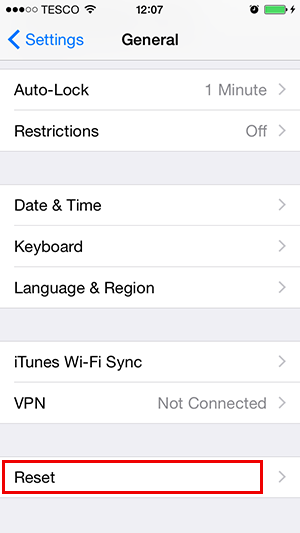 Remember that you will need to enter your passcode if you have *Activation Lock enabled. *Activation Lock is a security measure that prevents thieves from accessing your phone and deleting all your data, as well as showing you where your iPhone is with Find My iPhone. You wouldn’t believe how many people leave their SIM cards in their phone only to realise when it’s too late and the phone has been sent off and recycled. 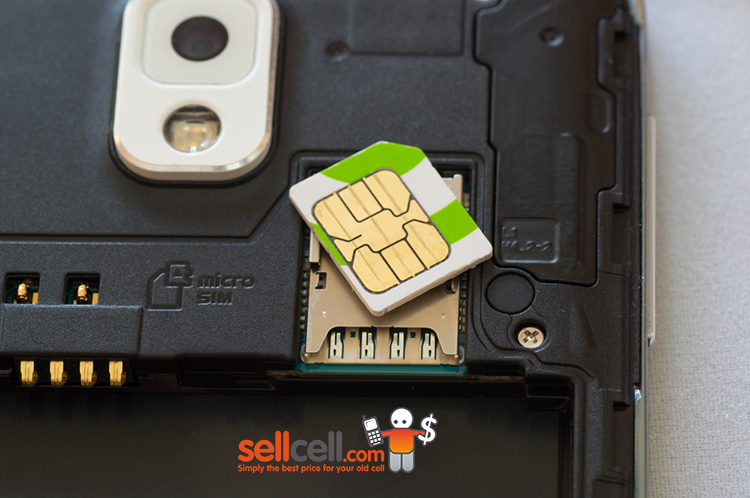 A SIM card can be just as important as any other storage feature because SIM cards hold phone numbers of contacts include your own phone number. In the wrong hands, this could be a serious issue for you. To remove your SIM use the pin tray opener that came with your iPhone and insert it into the small hole on the side of your iPhone where the SIM tray is. This will eject the tray and allow you to take the SIM card. 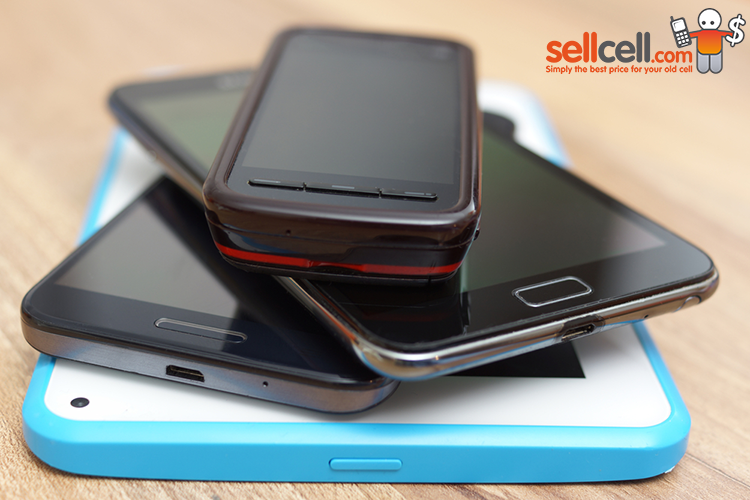 Now your phone is ready to sell, you are going to want to get it valued, right? This is where the SellCell.com site can come in handy as we compare prices from leading buyback companies right here, meaning that you dont have to go out of your way to individual websites and do the comparison yourself. Yes, we do truly save you time and hassle, while giving you the best prices. Best of all, even if your phone is broken or not working you can get back a price for it! The first 4 steps have helped your prepare your phone for sale, and get the best valuation for it, but have you thought about how you are going to replace this phone? In this step we want you to make sure you choose the right carrier for your area, after all a poor signal makes your new phone almost pointless. Firstly you need to decide on whether you want to stick with your current carrier or jump ship if you are experiencing large drop outs in coverage. 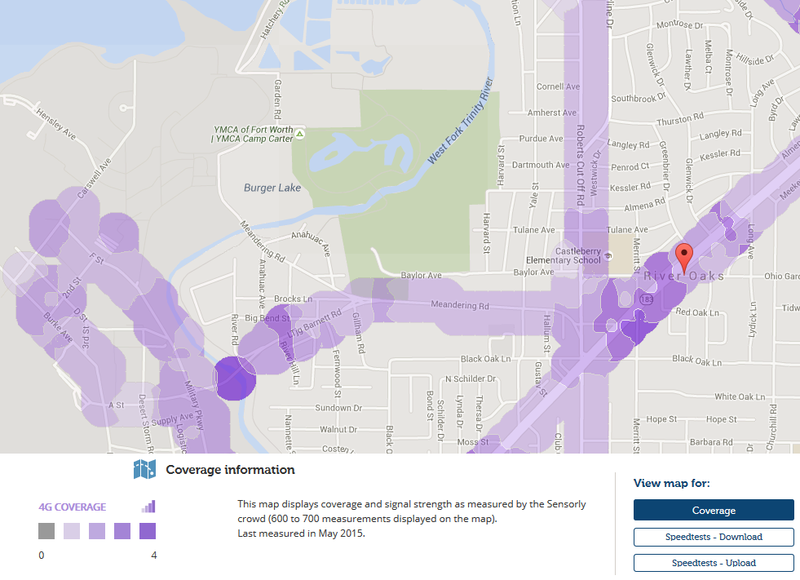 Sensorly.com have a great little tool where you can type in your location on a map and then measure a carriers signal strength. In our example below we have selected the River Oaks area of Texas, and have chosen Sprint 4G as our carrier. On the map below you will be able to see a heat map of where the strongest signal areas are compared to where you live. By changing the carrier and testing out the various options you will be able to select the best carrier. Once you have a carrier in mind you can head to their site and look at the deals that are available. So now we know that Sprint 4G happens to be strong in our area, so we are happy to switch provider for the best experience. The next step is to see what Sprint has to offer, and choosing a data plan and phone is something that only you will know as everyone has different needs and tastes. You can choose whether to take out a 24-month lease contract with no down payment or a 2 year service agreement for a one off cost. Once you have selected the phone and payment plan you can then select your data plan, which differs dependent upon carrier. 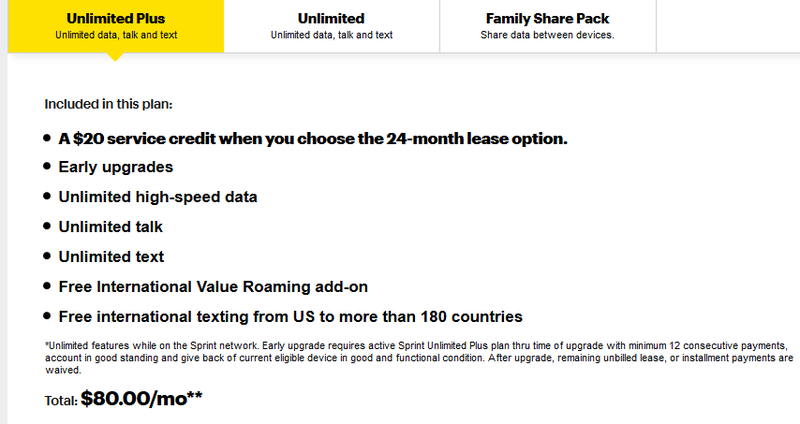 For Sprint you are given Unlimited, Unlimited Plus and a Family Sharing data plan. Unlimited starts at $60, Unlimited Plus starts at $80, whilst the family plan starts at $20 for 1GB and rises up to $225 for 60GB. When you come to send off expensive items, you want to take every precaution available to you. Taking photos of your device with a timestamp before you package them up is a smart way of making sure that you have backup proof of what condition the phone is in, should anything happen during its transit to the buyback company. Note: You may need to borrow someone else’s phone to do this, unless you have a digital camera available. Right, we are all set now to get the phone packaged up and sent through the postal system. Moving on from Step 8, you want to make sure that your phone doesn’t get damaged through transit so using the appropriate materials is key to keeping your phone safe. Our tips for packaging are to pack your cell phone in either a padded jiffy bag or a cardboard box. If you are using a cardboard box make sure that your phone won’t move about in transit. To do this, firstly wrap your phone bubble wrap, and then pack the box out with a suitable filling such as shredded newspaper, polystyrene pieces or bubble wrap. The better you pack the box, the less chance of it getting damaged. Your phone is now ready to send. So far you have taken every step in making sure you get full price back for your phone, and that your phone reaches its intended destination in one piece. This final step is a final addition to making sure you have taken every step possible that selling your phone goes smoothly. 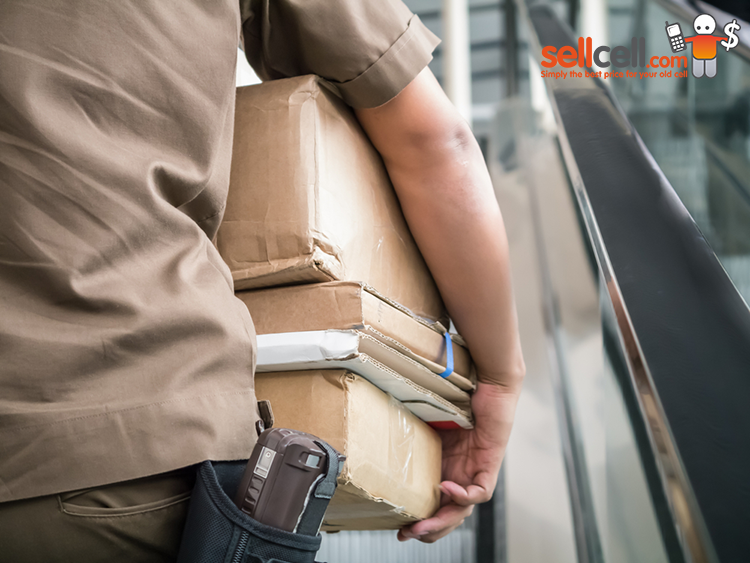 One of the most important steps you can take if sending a phone of value through the post is purchasing a tracked and insured service. Imagine if you had taken photos of your phone, packaged it well and then it went missing in the mail with no insurance or tracking? 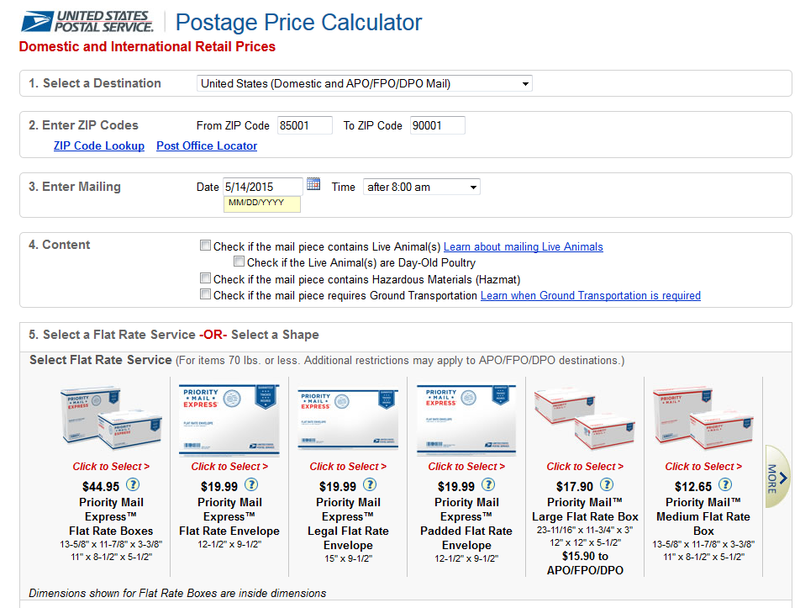 Using USPS you can calculate the cost and add extras to your shipment. 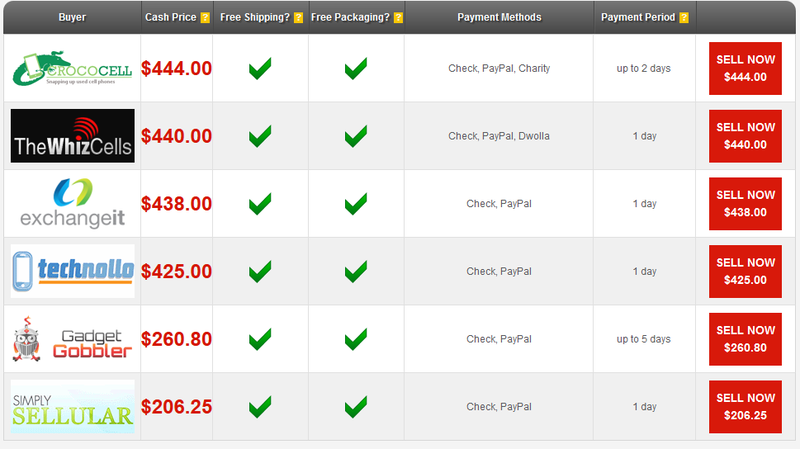 Depending on where you are based and where you are sending the phone to will dictate the overall price. As an example we looked at sending a phone with next day tracked and insured options from 90001 to 85001 and the fee was $19.99. 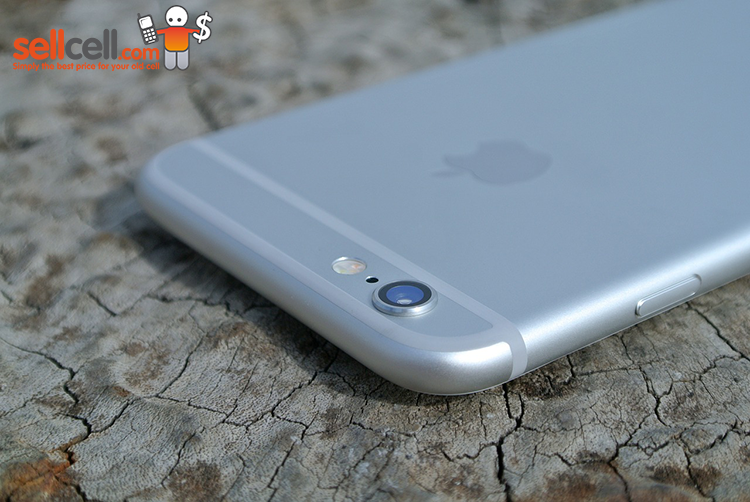 There are many steps that you need to take into account when selling your iPhone, it’s not just about wiping the data, it’s remembering to back your data up, find a new data plan and package your phone up well enough to avoid any damage through the mail. The 9 steps we have listed here are an ideal guide to take you through the process of selling your iPhone, so tick every step off along the way and you can’t go wrong.